Growing as disciples who give their lives to make a difference! Tuesday Night Dinners – All Summer Long! Connecting God’s Families, One Child At A Time. The main mission of Chosen Ones Ministry is recruiting, connecting and supporting foster and adoptive families through church recruitment efforts, small groups, family fun events and our Just 4 U Closet in Fort Worth. Their goal is to make sure every family has all the resources they need to follow the call of fostering or adoption. They never want any family to walk alone, nor do they ever want fostering or adoption to be a financial decision. They are partnered with local state contracted agencies that license foster parents, to help families get where they need to go and be connected with the children God has for them whether temporary or forever! In its campus with six cottages, Christ’s Haven provides a warm, loving, Christian environment for 48 children in need of basic care to grow physically, emotionally, and spiritually. Additional care is provided for children in foster care in off-campus homes. Medical and dental care, counseling, and tutoring as needed, are provided in a warm and loving home under the care and guidance of full-time house parents. The Community Storehouse serves Disadvantaged Kids & Families in Keller ISD with a variety of services for education , from reading and school supplies programs, to well-being, help in nutrition, clothing and health care. Their goal is to not only keep children in school, but to help them year-round to succeed there. The Joseph Storehouse is a Christian organization that demonstrates God’s love by reaching out and touching the lives of people in practical ways, by empowering this generation with tools to become successful in all areas of life, and where people find help for now and hope for the future. 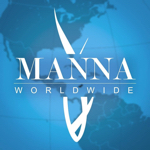 Manna Worldwide is on a mission to rescue children from the grip of poverty. There are 2.2 billion children in the world and 1 billion are living in poverty. To help change that face of poverty, Manna is working with its partners provide nutrition, education, and spiritual growth. This Christian organization focuses on caring for impoverished children in 41 countries around the world with over 160 projects that consist of nutrition centers, orphanages, medical clinics, schools, clean water projects and micro-finance ventures. Presbyterian Night Shelter provides emergency shelter to Tarrant County’s homeless population and are dedicated to helping their guests move into their own homes. They are a no-barrier facility who welcomes anyone in need, 24 hours a day, 365 days per year. Their campus includes a shelter that houses homeless adults, with separate facilities for families (women and their children), veterans and those with behavioral disabilities. SOS Local’s goal is to support and develop local care networks in the North Texas area. North Texas serves as our US base and we want to invest in our local community. There is huge need in the North Texas and we are honored to partner with some incredible local care networks to impact at-risk children and their families in our own backyard. Triumph Sports is a Christ-Centered sports camp that uses sports as a means to help spread the Gospel. At camp every child will learn memory verses as well as hear a Bible Lesson at snack time. 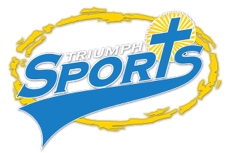 Triumph Sports partners with churches. Established in 1995, Upward Sports is the world’s largest Christian youth sports provider. 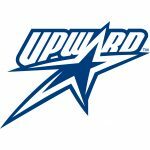 Upward Sports is the only organization that offers the 360 Progression™, a uniquely designed total sports experience that adapts and expands as players grow in their personal athletic journeys. The 360 Progression develops total athletes mentally, athletically, spiritually, and socially – producing players who excel both on and off the field.